West Virginia Quarter: The West Virginia quarter is the fifth and final quarter of 2005 and the 35th quarter released in the United States Mint's 50 State Quarters® Program. 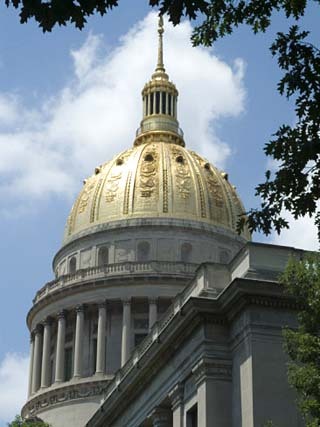 West Virginia was admitted into the Union on June 20, 1863 becoming our Nation's 35th State. Nicknamed the "Mountain State," West Virginia's quarter features the state's scenic beauty with the depiction of the New River and the New River Gorge Bridge. Name: West was added to this area of Virginia during the Civil War as it refused to secede from the Union. Virginia was named in honor of Elizabeth, the "Virgin Queen" of England.